Your metatarsal bones are the long bones that link your ankle to your toes. Between the heads of the metatarsal bones and the bottoms of the proximal phalanges (your toe bones) are the metatarsophalangeal joints. In other words, metatarsophalangeal joints connect your toe bones to your foot bones. These joints are surrounded by a thin joint capsule and have ligaments that support them. It's good to know, too, that the first metatarsophalangeal joint is commonly known as the big toe joint while the little toe joint is known as the fifth metatarsophalangeal joint. The first metatarsal (big toe) also articulates with (or connects with) two sesamoid bones on the plantar surface of the foot (the bottom of the foot). Metatarsalgia: Metatarsalgia is actually used to describe any pain in the ball of the foot—the soft, padded part on the bottom of your foot that overlies the metatarsal bones. Even so, the most common source of pain in this area is the metatarsophalangeal joint. Bunion: A bunion is a bony bump that forms on the outside edge of the first MTP joint. As a result of a bunion formation, a condition called hallux valgus may develop which is when the big toe deviates or points towards the other toes. As the first toe pushes on the second toe, a hammer toe may result. A common cause of bunion formation with a hammer toe is wearing improper shoes (for example, high heels or shoes that fit too tightly). In addition, you may have heard the term bunionette which is when a bunion forms on the little toe or fifth metatarsophalangeal joint. Arthritis: With the inflammatory condition, rheumatoid arthritis, pain in the MTP joint may occur when standing or walking. Morning stiffness in the MTP joint can also be an early sign of rheumatoid arthritis. Inflammation of the joint in this disease can also lead to hammertoe deformities. Osteoarthritis, a non-inflammatory form of arthritis, may also occur in the big toe MTP joint. With foot osteoarthritis, the cartilage of the joint wears down, and this can create pain and difficulties with walking. Gout is another form of arthritis that may affect the foot, especially the first MTP. Symptoms of a gout attack include sudden, severe pain, redness, and warmth of the big toe. Finally, septic arthritis of an MTP joint may occur. Although less common than gout, septic arthritis needs to be ruled out, as it indicates a bacterial infection in the joint. A procedure called arthrocentesis, in which joint fluid is removed and examined under a microscope can differentiate between the two. Hammer Toe: A hammer toe is a misalignment of the MTP joint, often of the second toe. There are multiple potential causes for a hammer toe. For instance, a hammer toe can develop after a bunion form, which causes the big toe to shift or angle towards the second toe. A hammer toe can also occur in rheumatoid arthritis when fat tissue in the ball of the foot is pushed forward under the toes. A traumatic injury to the toe can also cause a hammer toe, and some people are simply born with hammer toes, a genetic cause, so to speak. Finally, it's important to note that further problems can develop, as a result of a hammer toe, including corns and reactive adventitial bursas—fluid-filled sacs that form when fatty tissue in the foot is exposed to high pressure or friction. In order to manage conditions of the MTP joint, your doctor (for example, an orthopedic surgeon who specializes in treating the foot or a podiatrist) will consider either surgery or non-surgical strategies. Nonsurgical Strategies: Most MTP joint-related problems are managed nonsurgically. For example, in the case of a bunion (a common MTP problem), a doctor will often recommend that the person wear proper shoes, even custom orthotics (special shoe inserts made for your feet). For bunions, a shoe with a wide toe box, and one that is soft and stretchy can be helpful. Bunion pads can also protect the bunion from rubbing. Orthotics can help manage other MTP problems like metatarsalgia. In this case, wide shoes or pads under the bones of the forefoot can ease discomfort. Other non-surgical approaches include using ice or taking anti-inflammatory medications (for example, ibuprofen) to soothe pain and reduce swelling. Surgical Strategies: There are a number of different surgical procedures to address your specific MTP issue. Even so, surgery is usually considered only when nonsurgical strategies don't work. For instance, one procedure is called first MTP joint fusion and entails fusing the bones of the big toe and first metatarsal together permanently. 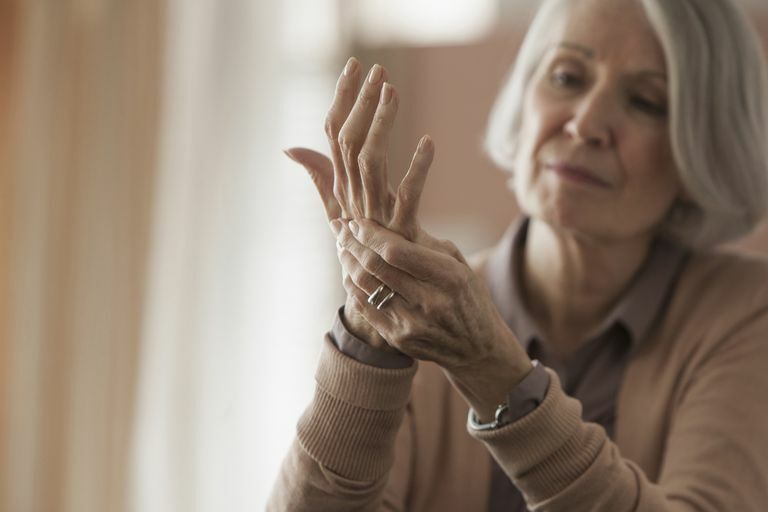 It may be performed in cases of arthritis where the joint cartilage has been worn away and the resulting pain is not relieved by conservative or nonsurgical methods. First MTP joint fusion is often performed as a day surgery, but recovery can last six months. Metal screws and, often, a metal plate are used to stabilize the joint. Another procedure called the first MTP joint replacement is done in cases of arthritis to relieve pain that doesn't resolve with conservative treatment. The big toe joint is removed and implants are used to replace it. These may be made of metal or plastic. It differs from fusion in that the implant mimics the action of the original joint. The foot is a complex but flexible part of the body, and the joints of the foot are especially critical for allowing movement. If you have MTP pain, which will cause pain with walking, be sure to see your doctor for a proper evaluation. Even further, if you experience redness, warmth, or sudden swelling of the MTP joint (most commonly in the first MTP joint), please seek medical attention urgently, to rule out infection. American Orthopaedic Foot & Ankle Society. (2017). First MTP Joint Fusion. American Orthopaedic Foot & Ankle Society. (2017). First MTP Joint Replacement. Hul EV, Vanhoenacker F, Dyck PV, De Schepper A, Parizel PM. Pseudotumoural soft tissue lesions of the foot and ankle: a pictorial review. Insights Imaging. 2011 Aug;2(4):439-52. Shirzad K, Kiesau CD, DeOrio JK, Parekh SG. Lesser toe deformities. J Am Acad Orthop Surg. 2011 Aug;19(8):505-14. Whitney KA. (2016). Merck Manual Professional Version. Metatarsophalangeal Joint Pain.